Texan Girl Talks: 5 Sunday randoms. Anywho. I'm feeling really random today as I write this blog at noon and still haven't left my pajamas and probably won't until I have to work tonight. 1. So after I figured out that I'm not doing this whole concealer thing right.. remember this post. Well I finally went to the Youtube videos for makeup tips. It's really crazy how makeup trends constantly change, either that or I've been doing it wrong this entire time. Which is completely possible. Anyways, my coworkers helped me find these, by Jaclyn Hill. She is amazing. This video below is her concealer and foundation video, I'm definitely going to try this very soon. 2. SO. I've started my christmas list... This. I love this so much. It's tiny and dainty and I love it. 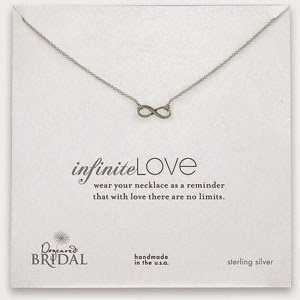 It's from Dogeared. Well I wasn't about to make the same mistake twice so I nixed the tomato sauce and sherry vinegar with the polenta recipe and it was heaven. Matt didn't like either one of them, so rather than spend $60/week for some random recipe. I'll go ahead and do some research on Pinterest for new meals. I'm still glad I tried Blue Apron though, I think everyone should try something at least once. Monday: Ran 3 miles on the treadmill! Ran 2 of 3 miles without stopping. I'm kind of proud of that, since i'm not a real runner... not yet anyway! Friday: Ran .5 miles before I got bored, so I did a random boot camp workout. It was 78% mountain climbers along with random squats and abs. It was intense, but I was glad I was motivated to complete all of it. Sat/Sun: This + being miserable. I did feel well enough to make waffles and coffee this morning, Matt is a lucky man. I already feel like this day will be victorious. I hope your Sunday is wonderful! Do you get the flu shot every year? Have you ever gotten the side effects from the flu shot? Do you ever go to You tube videos to try new beauty tips/regimens? Oh I can't wait to work on my running again. I'm going to be working my way up from scratch. I never get flu shots for that reason. I feel like I always get sick from the dang shot! I always feel like the side effects are more than just "side effects", i.e. you have the flu. lol. Before I started nursing school, I went all through college/life without ever getting one and was just fine. Oh the joys of being in the health care industry!